Pompano and milkfish – a healthy treat for the family! 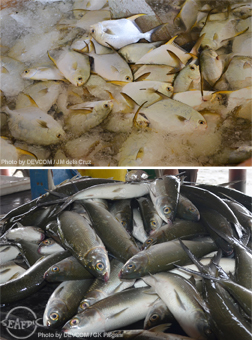 On 27 September, AQD is harvesting 200-250 gram-sized pompano from its Igang Marine Station (IMS). The market price of pompano is Php 175 per kg. Milkfish will also be harvested from IMS on 4 October. The selling prices of milkfish range from Php 90-Php 100 for sizes 330-500 g per piece. You may place your orders through AQD’s Materials Control Unit at (033) 511-8091 or (033) 511-9171 loc 320. The cutoff date for pompano orders is on 26 September and 3 October for milkfish orders.